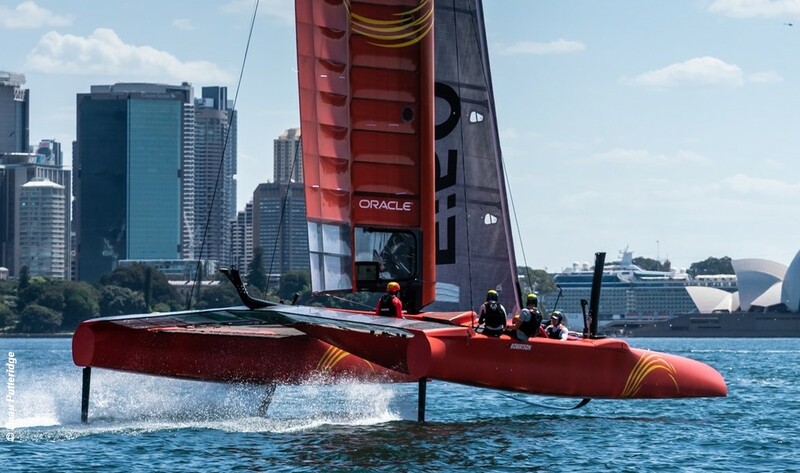 The China SailGP Team boat was officially launched on Sydney Harbour, kicking off the final preparation for the start of the new global sailing championship. The newly unveiled Chinese F50 catamaran – the fifth of six national SailGP boats to be unveiled – is uniformly red from wingtip to hull, and features the national flag and a dragon tattoo. To prepare for the season, the China SailGP Team sailors have been travelling around the world since last September. They started in France for safety training, then went to the UK for simulator training, then New Zealand for sea trails. And now they will spend their Chinese New Year in Sydney. SailGP is a new challenge for the Chinese sailors. Liu Xue, Chen Jinhao and Liu Ming have participated in offshore sailing events in the past five years, and won the 2017-18 Volvo Ocean Race. Meanwhile, Wang Jue was a member of Team China for the 32nd America’s Cup. Designated by SailGP and World Sailing as a developing country, the China SailGP Team will have two Chinese sailors on board for Season 1, and will aim to build to 100 percent nationality by SailGP’s fourth season. Sydney SailGP will take place 15-16 February 2019 in Sydney Harbour.